She went from make-up school drop out to make-up pioneer. 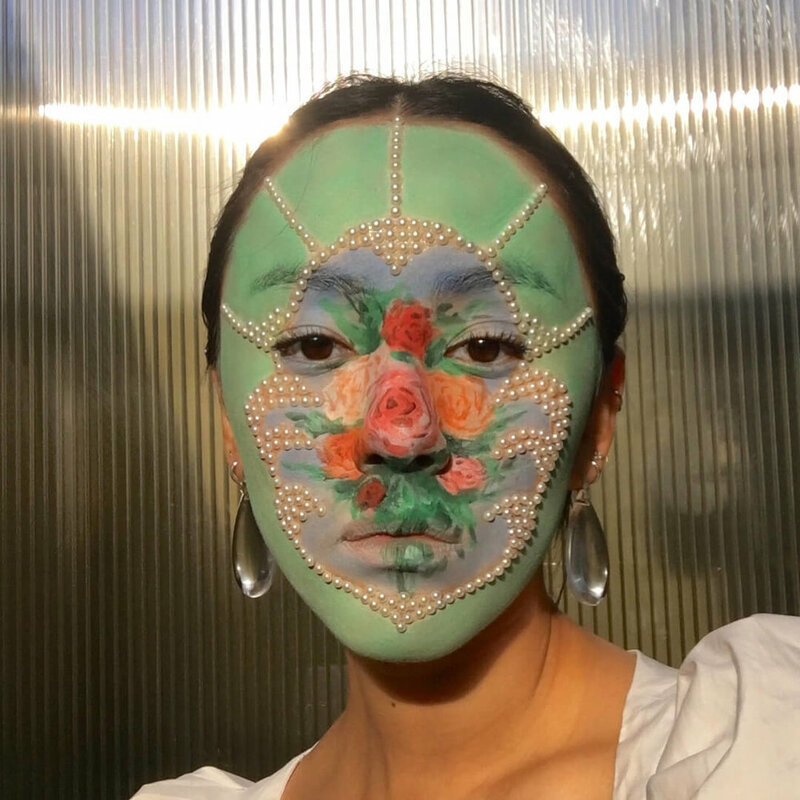 Ana Takahashi reimagines the meaning of make-up and turns every face into a piece of art. We have a chat with Ana to discover her secret essentials, sources of inspiration and thoughts on the future. Hi Ana, love your work! How did you start your make-up game? Thanks! It all started when I was 14 years old, when beauty vloggers started getting really big. I experimented with make-up every school night until about 3am and painted a lot for my art classes. Those two skills went hand in hand and created this painterly style that I have developed today. What are your ultimate essentials? I cannot live without my Dior lipglow; it gives the healthiest pink tint and glow to your lips. I also couldn’t live without my Claropsyche palette for creating beautiful colourful pastel looks. Literally everything except Instagram haha. I find that the more I use Instagram, the less inspired I feel. I guess this is why we see the same ideas used time after time again because a lot of people go to Instagram for inspiration. I usually find myself looking at specific art movements for inspiration like Rococo. I also look at different eras like 60s/70s because they had great illustrators and artist that created amazing psychedelic art which can be a great point of reference for crazy colour and pattern combo’s. What has been your favourite creation and why? 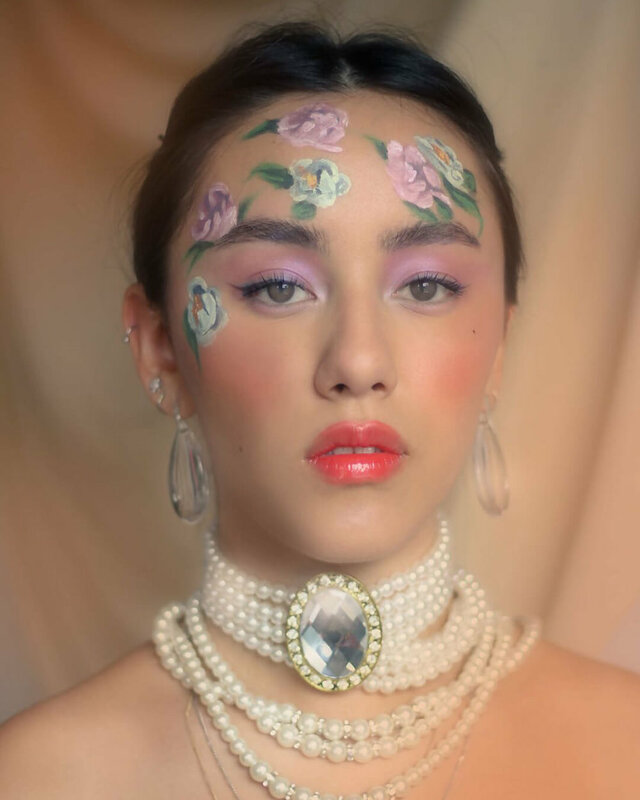 Probably the look I created for my Vogue100 feature of the rainbow circles. I love it because the technique of drawing repetitive circles is such a simple concept which anyone could pull off, but the result was very effective and eye-catching. I also just adore pastel colours so creating that look was so fun for me. You often reference existing imagery giving your own twist to it. Any specific references up on the planning? If you could work with anyone’s face, who’s would it be? Pamela Anderson, FKA Twigs, Ezra Miller, Brooke Candy, and Bella Hadid to name a few. How do you imagine the future of make-up? I definitely think hologram make-up will be a thing. Also, I think there will be a surge of E-Makeup artists who create 3D make-up looks using CGI. I definitely won’t be taking part in that because I don’t even know how to CC someone into an email lol.